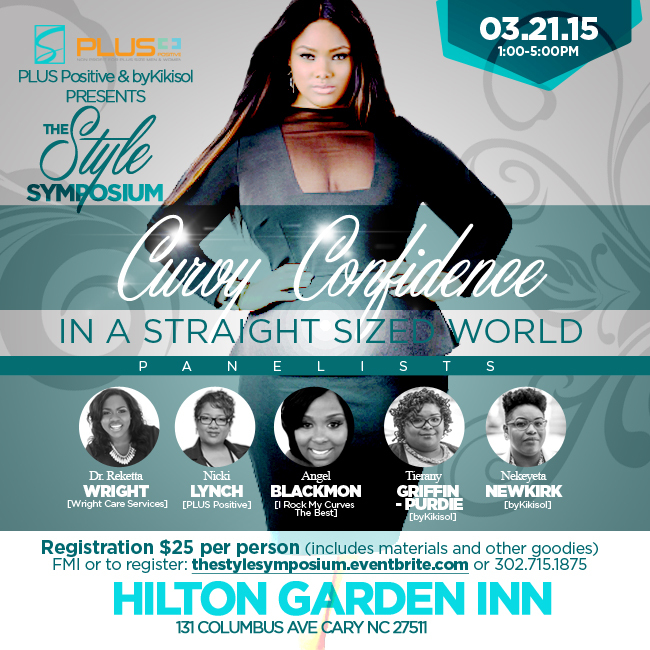 It's about time for a curvy event in the Raleigh area and I'm happy to share that The Style Symposium is coming to the Hilton Garden Inn in Cary, North Carolina on Saturday, March 21 from 1-5 p.m. The Style Symposium is being presented by PLUS Positive and byKikisol. The symposium will be an intimate and unique, panel/workshop experience, designed to provide a wealth of style and image advice and resources, including skills, strategies, techniques and secrets to boost confidence levels and promote self-love, worth and acceptance. This event will have fabulous panelists and the event cost includes materials and other goodies. For more information, check out their event page. 2. Giveaway is for one ticket. 3. You must complete the required components in Rafflecopter below. Thank you for entering & I hope to see you there! I'm definitely going to be there. I loved their last event: The Curvy Exchange.